Vanessa Oguamanam is the Program Manager and UX Engineer officer at WAAW Foundation. Before joining WAAW Foundation, Vanessa received her B.S in Computer Science and M.S. in Human-Computer Interaction from the University of Maryland, College Park (UMD). She is currently pursuing her PhD in Human-Centered Computing at Georgia Institute of Technology. 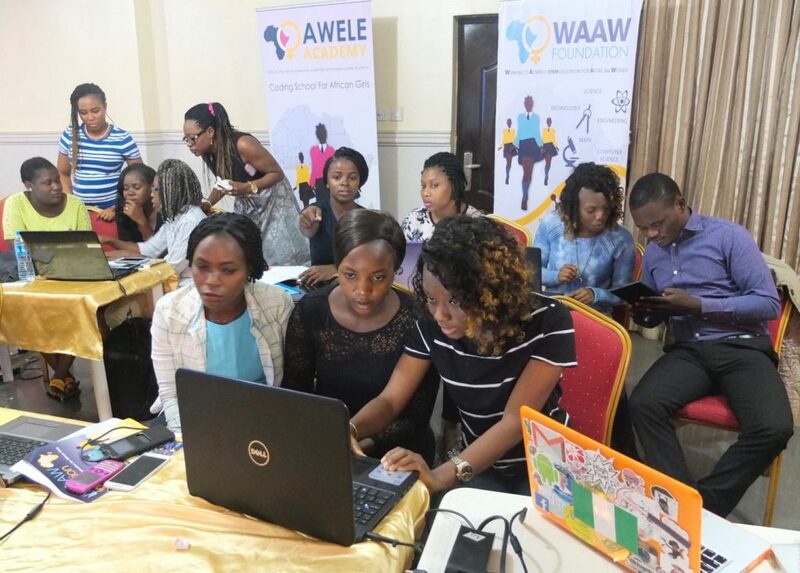 Between January to February 2017, Vanessa co-organized the first AWELE Academy’s “She Hacks Africa” Program, an intensive coding boot-camp for African women ages 18-30. She believes her project is worthwhile because of its contribution to empowering and advancing STEM education for African women. She speaks to WAAW Foundation about witnessing her vision come true.TELL US WHAT MOTIVATED YOU TO JOIN WAAW Foundation AND PARTICIPATE IN THE BOOT-CAMP? 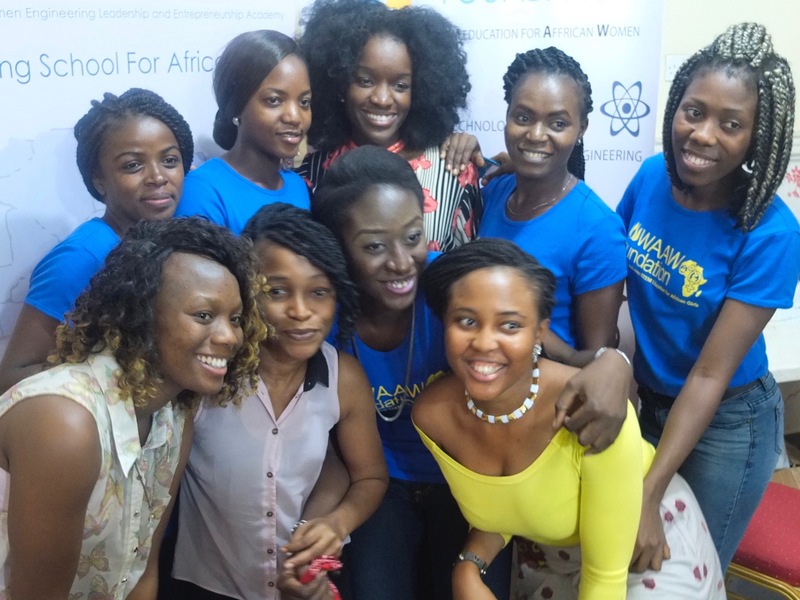 WAAW Foundation’s persistent commitment to advancing African girls and women as leaders in technology and innovation is what I believe won me over. Prior to meeting Dr. Unoma Okorafor at the Grace Hopper Conference in 2014 and learning about her foundation, I had never heard of an organization that shared my passions for the education and empowerment of women and girls, technology and innovation for social good, and building a better Africa. As you can imagine, I was completely fired up, yet humbled, after the encounter. I couldn’t help but think, this was God’s work! However, I have to admit, I was unsure of what exactly God’s purpose was for me in regards to the WAAW Foundation at the time. “Why now?” I wondered. Logically speaking, it just wasn’t feasible for me to be actively involved in any of WAAW’s outreach efforts during the time because I was a full-time student in the US and their programs were held in Africa. Irrespective of my realization, it is my belief that everything happens for a reason. Hence, I decided to just be patient and trust the process. It took a little over two years before the perfect opportunity presented itself. During the Fall of 2016, I reached out to Dr. Unoma about partnering with the WAAW Foundation to develop a project for my Master’s Capstone. We spent some time discussing possible project ideas that WAAW had on its radar that aligned well with the goals of my capstone before deciding on the boot-camp. I really loved the idea of the boot-camp and wanted to be a driving force behind making this idea become reality. HOW WOULD YOU RATE WAAW FOUNDATION AND AWELE ACADEMY? The professionalism, ambition, and diligence of the staff of WAAW Foundation and AWELE Academysurpassed my expectations. My experience with the foundation has opened my mind to unexplored areas of my field, and suggested new ways I can help lead the way for women in technology. The WAAW Foundation has gained my lifetime loyalty. As Dr. Unoma once said to me, “[I am] stuck with them forever”. Of course, like her, I wouldn’t have it any other way. WHAT WAS YOUR EXPERIENCE WITH THE PARTICIPANTS? WHERE DO YOU SEE THE PARTICIPANTS IN FUTURE YEARS? to teach their family and friends. These camp outcomes reinforce the declaration that “when you educate a girl, you educate a whole community”. Women have a reputation of investing in their families and communities. This is all the more reason why it is crucial that we continue to advocate for access to education for girls and women around the world . WHAT DO YOU THINK IS UNIQUE ABOUT THE #SHEHACKSAFRICA? IS #SHEHACKSAFRICA A BOOTCAMP YOU WANT TO SEE HAPPEN REGULARLY? #SheHacksAfrica is unique because it has potential to be a revolutionary movement. When I first came up with the tagline, my main goal was to capture the true essence of WAAW Foundation’s goal for the bootcamp. However, the striking thing about the tagline is that it asserts our ultimate vision that girls and women will be at the forefront in reshaping Africa. I certainly would like to see the bootcamp happen frequently but including more countries across the continent. HOW DO YOU SEE THE BOOT-CAMP BRIDGING THE DIVIDE IN TECH LEADERSHIP? Girls and women are typically overlooked or left out of the conversation when it comes to the topic of reshaping Africa. #SheHacksAfrica will contribute to closing the gap in tech leadership because it focuses on training girls and women as the next generation of innovators and leaders on the continent. Moreover, it provides them the space and freedom to voice their opinions on issues that they face daily. Lastly, it empowers them with the confidence to use their skills to combat those issues. #SheHacksAfrica gives women a seat at the table that they are so often denied. When women finally get a seat at the table in leadership and innovation, we will see tremendous strides across Africa.